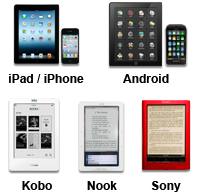 Adobe e-books are read using Adobe Digital Editions. Install Adobe Digital Editions on your PC in order to read or transfer your e-book. Want to be a smart, successful real estate investor? This no-nonsense guide contains everything you must know to make the right choices about financing your investments  from the various options available and the impact on cash flow to the tax implications and risk factors involved. You also get tried-and-true tips for surviving a down market and using current investments to finance future ones.